The original design of Liverpool architect F.X. Velarde attracted so much attention when St Gabriel’s opened in 1933. “The new building… marks a new departure from the accepted ecclesiastical style and is unique in this district,” said the old Blackburn Times when it was consecrated on April 8, 1933, by the Bishop of Blackburn, Dr P.M. Herbert. But this is a church which throughout its life has been fraught with settlement cracks, repairs and redesign – it’s original towers truncated and clad, flat roofs pitched and timbers replaced. 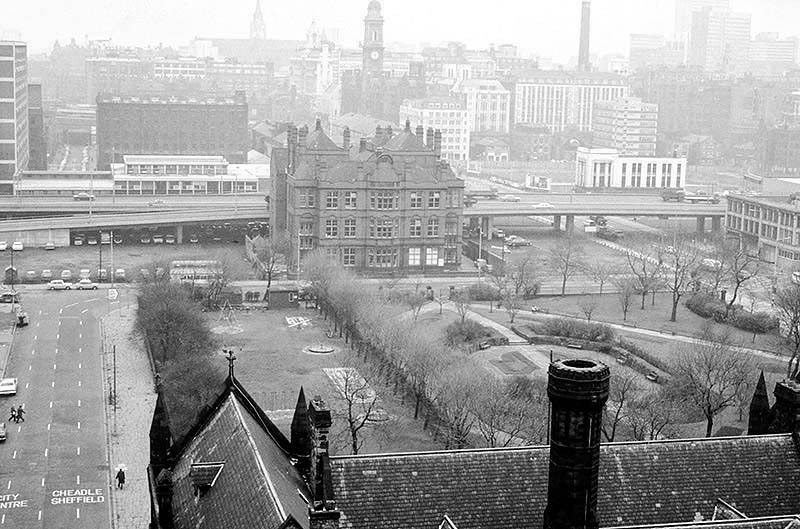 For 34 years ago, the landmark building was facing possible demolition — with the parish confronted with a then-immense bill of £15,000 for repairs. The crisis was due to serious damage to the roof timbers caused by water penetration. Eventually, it took £40,000-worth of refurbishment inside and out lasting until 1975 to save St Gabriel’s — at considerable expense to its original appearance. The main tower was shortened by six feet and later clad at the top with glass-fibre sheathing while the east tower was removed altogether and its flat roofs were made into pitched ones to deal with the rotting roof timbers and problems of settlement. In fact, the difficulties that its design and construction posed were recognised much earlier in 1956 when the church, which had cost £20,000 to build, was found to be in urgent need of repairs that would cost more than £1,500. For an inspection by the Diocesan Architect found that major defects in the flat roof could have serious consequences unless they were given early attention and portions of the parapet wall were found to have large cracks due to settlement while half the building’s brickwork needed pointing. And so it now stands forlorn and unused – services are now held in the adjacent church hall. A series of interlocking monumental interwar functionalist brick clad slabs, once thought to resemble a brewery or cinema, now awaits its fate. Though it remains a thing of wonder in both scale and detailing, well worth a wander around if you’re passing. Its tall slim arched windows reaching towards the heavens, Deco detailed doors firmly closed.